1. Put approximately 1.5 tablespoons of tea leaves in your tea pot, or in the filter cup if available. 2. Pour hot water into the tea cups to warm them. 3. Pour the same water back into the large tea pot to start brewing your tea. This water should not be boiling, but at approximately 80˚C. 4. Brew the tea for approximately 1 minute depending on tea type and taste. 5. Using the teapot, pour the brewed tea into the cups little by little to give an even flavour to both. 6. The same tea leaves can be used up to three times. 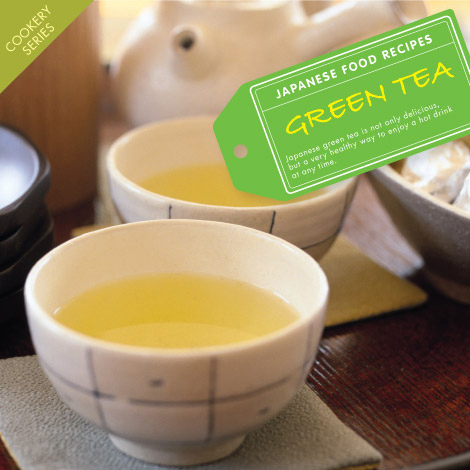 To make tea using Matcha green tea powder rather than leaves. Add a small teaspoon of the powder to a small cup, fill cup 3/4 with hot water (not boiling as above). Then whisk with special Matcha whisk until a light foam appears on the surface. Posted in Food and tagged Green Tea, matcha. Bookmark the permalink. If more people knew about how to brew green tea properly they would enjoy it so much more! MOst people brew it too long and use water which is too hot and so the tea is horrid and bitter. If you are drinking japanese green tea for its anti-cancer properties I’ve read that it needs to steep for 8-10 minutes to extract the most polyphenols, specifically EGCG? I agree Hayley! It amazes me how many people who don’t like green tea, once introduced to really good green tea, like Mr Aoki’s Japanese sencha, made well, they discover that they actually love green tea. This post is great as I believe that we need to educate people, so that they can begin to enjoy the refreshing benefits of green tea. Whilst 80˚C is a good temperature for sencha and genmaicha (and often bancha) I would say that this is too hot for quality gyokuro. Whether the gyokuro tastes better at 50˚C or 60˚C will depend on the tea (if the package gives no guidelines try it at both temperatures, lowest first, to see how you prefer it) but even by 70˚C the water starts being too hot for gyokuro and ruins it. Thanks Ley! I must try that when the weather gets warmer. I would definately agree with Loretta about Gyokuro. I haven’t tried a single Gyokuro that tastes better at higher temperatures, i try to stick to the lower end of 60-65˚C, but as you said it depends on the tea – I do believe that the grade i buy tastes slightly better when brewed in the 50’s, but not by much.